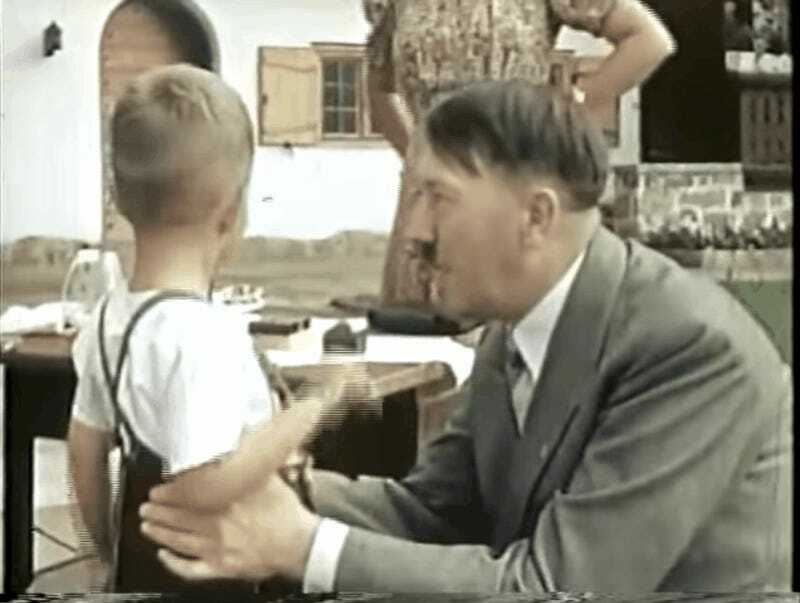 Eva Braun’s home movies of Adolf Hitler and other high-ranking Nazi officials are a terrifying time capsule of just how ordinary the most evil men in history can appear. The films show Hitler playing with children, Goebbels goofing around, and SS soldiers playfully chasing dogs. But the original 16mm films, which were captured by the Americans after World War II and sent to the National Archives, are currently missing. The news comes from a Freedom of Information Act request that I submitted to the National Archives’ Office of the Inspector General. In 2011, the National Archives opened an investigation into the Nazi home movies, which are believed to have vanished in the 1990s. The Archive has copies, but nobody is sure if the originals were destroyed, lost, or stolen. The report notes that there were originally eight reels of film with a mixture of both 16mm color and 16mm black and white, totaling 9,167 feet. Sometime in the 1990s the National Archives systematically made copies of many films due to “vinegar syndrome” and in some cases destroyed the originals. There are, however, no records of what was destroyed. The National Archives tried to locate the originals at various times in 1999, 2006 and 2011, but each time came up empty handed. They checked everywhere, including the National Archive’s enormous underground facility in Lenexa, Kansas. The 2011 investigation referenced in the report is probably about Leslie Waffen, the former head of the National Archives audiovisual department. Waffen systematically stole at least 955 sound recordings during his 37 years at the Archives and sold some of them on eBay. Many of the recordings sold for astonishingly low prices, including a Babe Ruth audio recording from 1937 that went for just $34.73. Waffen pleaded guilty in 2011 and, as far as we know, he’s never been a suspect in the case of the missing Eva Braun films. But he was an employee there during the 1990s when they went missing. Waffen confessed to stealing 955 sound recordings, but the NARA Office of the Inspector General’s report on the matter claims it was actually in the thousands. Sadly, many of the items Waffen admitted to stealing and selling online couldn’t be recovered since they were shipped to addresses overseas and other parties in the US who couldn’t be found. Again, there’s no indication in the documents that Waffen took the films, but he’d certainly be the first person I’d ask. He was sentenced to just 18 months in prison. It’s believed that the National Archives has copies of every missing Eva Braun home movie, but it’s tough to know for sure. I reached out to the National Archives for comment but have yet to hear back. In the meantime, can someone check on Nic Cage? If memory serves, that 2004 documentary National Treasure had something about stealing old pieces of American history in Washington.